We know the key to health is to eat well, exercise and get plenty of rest. We aren't however always good at following this simple advice. In Acadiana for example, diabetes is one of the top health issues facing the population, as we reported in the August/September 2016 issue. The good news is, the human body has a remarkable ability to heal and repair itself, especially when under the care of an adept doctor. As part of this issue's fitness and nutrition coverage, we're offering up our first ever Top Doctors list. The doctors in this list are at the top of their fields and have passed a rigorous screening process to be included. Read about the toughest cases of three of the doctors and save this list for when you need to call in a professional. Castle Connolly Medical Ltd. is a healthcare research and information company founded in 1991 by a former medical college board chairman and president to help guide consumers to America's top doctors and top hospitals. Castle Connolly's established nomination survey, research, screening and selection process, under the direction of an MD, involves many hundreds of thousands of physicians as well as academic medical centers, specialty hospitals and regional and community hospitals all across the nation. Castle Connolly's physician-led team of researchers follows a rigorous screening process to select top doctors on both the national and regional levels. Its online nominations process – located at castleconnolly.com/nominations – is open to all licensed physicians in America who are able to nominate physicians in any medical specialty and in any part of the country, as well as indicate whether the nominated physicians is, in their opinion, among the best in their region in their medical specialty or among the best in the nation in their medical specialty. Careful screening of doctors' educational and professional experience is essential before final selection is made among those physicians most highly regarded by their peers. 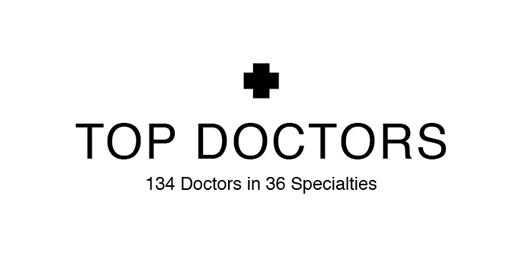 The result – we identify the top doctors in America and provide you, the consumer, with detailed information about their education, training and special expertise in our paperback guides, national and regional magazine “Top Doctors” features and online directories. Doctors do not and cannot pay to be selected and profiled as Castle Connolly Top Doctors Physicians selected for inclusion in this magazine's "Top Doctors" feature may also appear online at castleconnolly.com, or in in conjunction with other Castle Connolly Top Doctors databases online and/or in print.